"The Emoji Movie" was uh, not good , earning a dismal 8 percent approval rating on Rotten Tomatoes as of this writing. But despite the movie being a critical bomb, emojis are still as popular as ever, with over 5 billion sent every day worldwide . 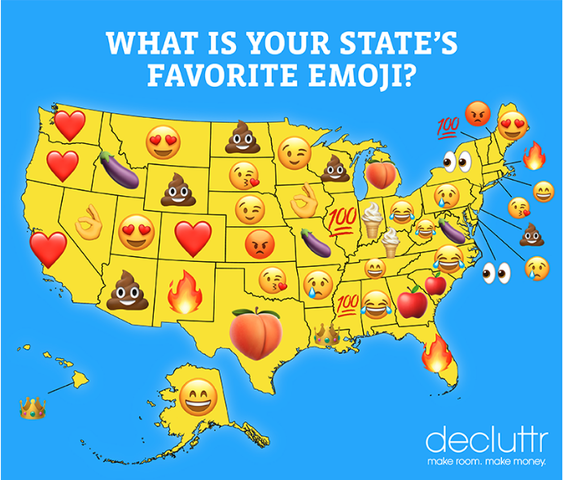 Decluttr recently studied Google search data to determine the most popular emoji in every state in the U.S. It seems everything is a-ok in Nevada, with the "okay" hand symbol topping the list for the Silver State. The same emoji is also really popular in Iowa. You can check out the full results here .